Like this cool looking necklace. I might have a bunch of new steampunk inspired graphics when I have time to make them. When I was in college and sometime after I used to sell fine jewelry. My favorite watches were always the ones that you could see the movements inside. 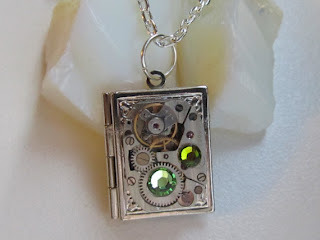 Especially the jeweled movements that come with finer watches, so I guess I have always been a little steampunk.